What is Bridge to Reading? 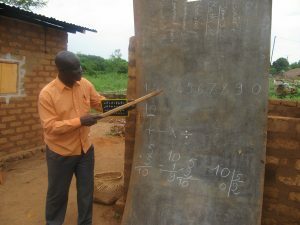 Guy (at left) participates in a B2R math lesson. The man in orange shirt is Guy. He’s 60 years old, a married father of 10 children, who had never attended school and could neither read nor write. When a church was planted in the Central African Republic village of Gbahaho, the implanter initiated the Bridge to Reading. Guy and other adults were interested in this training. After a few training sessions, Guy started reading and writing little by little. 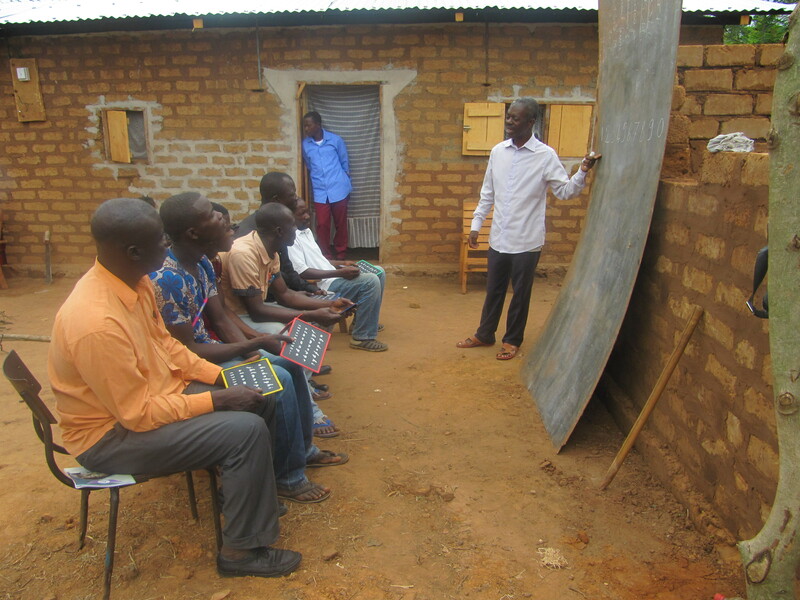 He wants to continue his training and plans one day to become a tutor to teach adults to read and write. Guy, a learner, points out the steps he used in solving a math problem during a B2R training session.